Some big changes are in store for the organization ahead of the summer. After finishing last in the 2019 LCS Spring Split, it was clear that the 100 Thieves had a lot of things to work on if they hope to change their fortunes in the upcoming split. Fortunately, it looks like team owner Matthew “Nadeshot” Haag and head coach Neil “pr0lly” Hammad are going to be doing as much as they can to improve 100 Thieves’ stock next split. In a recent 100 Thieves team video, Nadeshot and pr0lly answered several questions from the community on the team’s subreddit. There were a few big questions that the two answered that gave insight on their plans for the future. 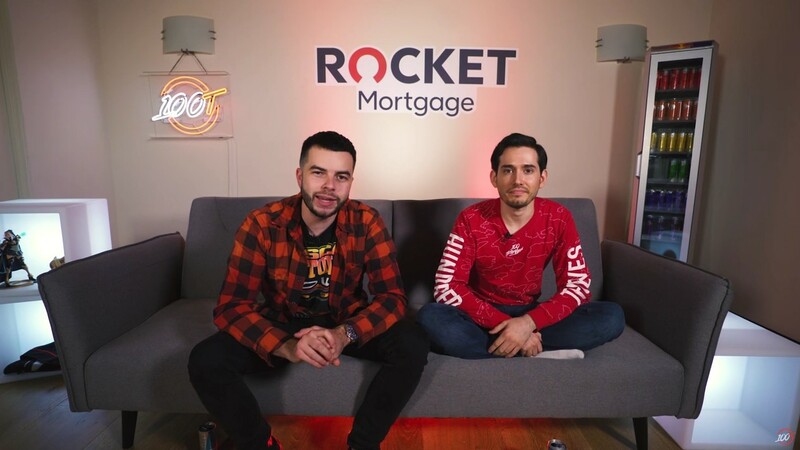 One of the biggest issues that Nadeshot and pr0lly addressed in the video was about their roster, to which they confirmed that 100 Thieves will be undergoing some roster changes for the 2019 Summer Split. It was clear that 100 Thieves’ lineup lacked a certain amount of cohesiveness that other teams were able to build over the course of the season. It showed in the way they played together as a team, and it makes sense that after a failed split, the organization will want to try something different. Later on, Pr0lly admitted that while he is good at handling players when the going is good, he isn’t too good at bringing a player up when things are going bad. Therefore, a sports psychologist would have come in handy for the team, especially during 100 Thieves’ slumps. We have already seen the positive effects of a sports psychologist on teams, like how CLG coach Weldon Green has helped multiple teams in the LCS and LEC. Pr0lly and Nadeshot also spoke about multiple other topics, including how they will be coaching the team moving forward. Ultimately, there is plenty of talent and potential with this 100 Thieves team. This past split was a harsh lesson for Nadeshot and pr0lly, but hopefully, they will be able to help this team bounce back for the summer.